Lo these many years past, Chevy Ray Johnson (FlashPunk, Ikenfell) and I were working on a little Metroid-inspired game. The hook for this particular 'vania is that your upgrades would be crew members for your little ship. I don't think there was going to be shooting, instead there was going to be a lot of weird puzzles, some stuff with like batteries and managing power in the different puzzle rooms to make things open and close, etc. OH YEA and you were going to be able to like climb out of your ship and run around as a little bitty guy, like in Shogo. 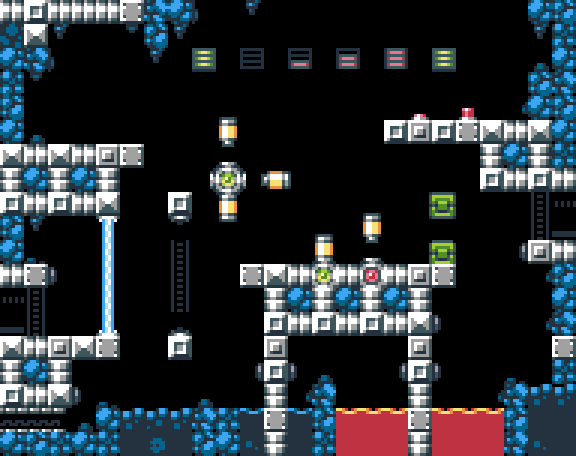 Anyways we built a little playable prototype but it didn't really have the magic but the tilesets and sprites turned out nice so here they are. 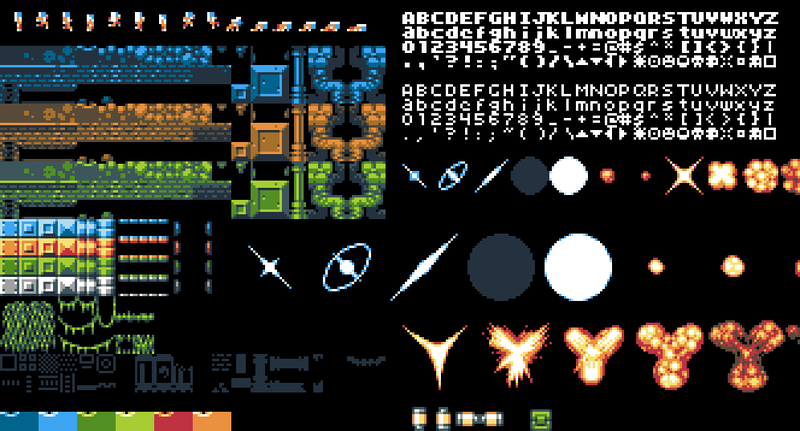 This tileset uses one or another of Arne's wonderful 16-color palettes. Version 18 or something probably. ANYWAYS these assets are free to use in personal or commercial projects, with or without attribution. PUBLIC DOMAIN, MFers!! Please enjoy them and I hope that they help you out in a jam or something!